In National Geographic’s comprehensive and easy-to-use illustrated pet reference, a renowned veterinarian offers expert advice on common health, behavior, and training for cats, dogs, and other domestic pets. Combining first aid, medical reference, and tips and tricks of the trade, here is your go-to-guide for at-home animal care, focusing on dogs, cats, rabbits, birds, and more! Building on more than two decades of veterinary experience, Dr. Gary Weitzman covers topics including upset stomachs, house training, physical ailments and behavior tips. The president and CEO of the San Diego Humane Society and former co-host of the weekly NPR show The Animal House, Dr. Gary brings a wealth of experience to essential veterinary questions, revealing basic first-aid techniques, when a trip to the vet is necessary, dietary recommendations, simple training techniques, necessary supplies, essential behavior cues, and much more. The National Geographic Complete Guide to Pet Health, Behavior, and Happiness is subtitled The Veterinarian's Approach to At-Home Animal Care. This is a big, comprehensive book that covers both physical health and behavior. The book's end flap includes the description "the written equivalent of a veterinary house call," and that gives a great idea of the book. I knew that I would like this book because I am a lifelong animal lover. I currently have a small dog (Abby, who sometimes blogs here!) but also have had and loved cats and birds. As a pet rescue advocate, I really appreciated the author's recommendations for adopting a pet as a family member. He also talks at length about how to choose a pet that fits in best with your family, looking at factors like exercise needs, personality, shedding, grooming needs, barking. I love that he extols the value of adopting an adult dog -- "Most people want puppies, but you shouldn't write off an adult dog. Most adult dogs already know or quickly pick up house training, and many older dogs are past the destructive puppy phase" (p. 27). He even gives specific help with looking at online adoptions, rescue groups, etc. This is very much a book for the whole family and I think parents will particularly find features like Pet Safety with Babies and Toddlers and Pet Chores by Age to be helpful. 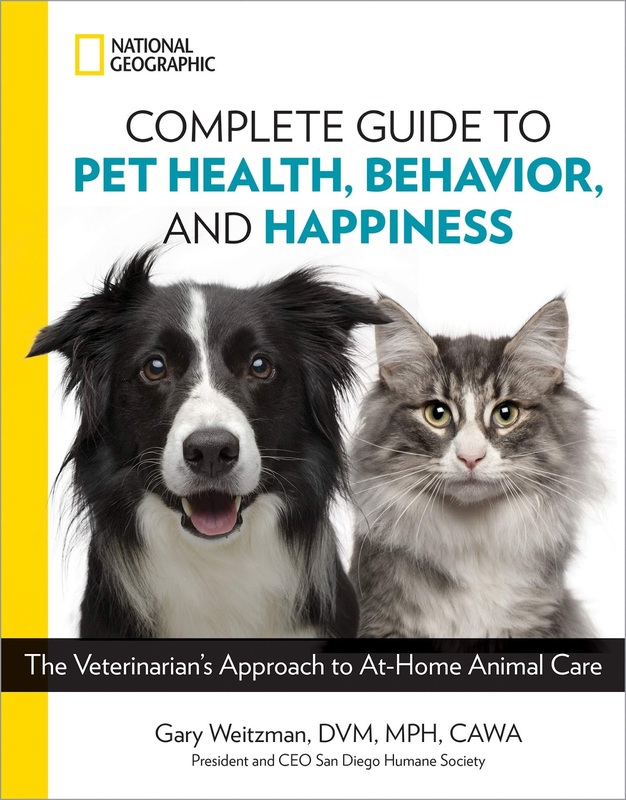 I really like the way the author starts at the very beginning, with choosing a pet, buying pet supplies to keep your cat or dog safe and comfortable, and then moving on to exercise, diet, and preventative care including fleas, ticks, etc. There are great tips about house training, crate training, and socialization. I loved the socialization suggestions, like "Make it a goal to try to introduce your puppy to 100 different people, places, sights and sounds in the first 100 days you have him. Start with this list and add to it as you go along" (p. 196). What a great idea -- a wonderful way to bond with your pet while socializing him or her! The section on adult dog behavior is great. It includes information on "how to speak dog," interpreting what your dog is trying to communicate -- not just giving commands without listening. There are great, practical, specific solutions to issues like barking, chewing, jumping up, etc. My little dog Abby can be a barker, and I found the tips on barking helpful. I especially found this point interesting (and possibly relevant here): "Add independence training to your dog's curriculum. In other words, train your dog to entertain himself sometimes, even when you're around. Pure reliance on you will make your dog very susceptible to anxiety when you're not around" (p. 217). Being a National Geographic book, the photos are, as expected, beautiful! There are great, helpful pictures on every page of the book. They add a lot to how enjoyable this book is to read. I recommend this book very highly for a first time pet owner, for anyone adopting a new pet, or for a pet owner who wants to learn more about day to day behavior training and first aid. It would also be a thoughtful gift for anyone who loves cats or dogs! The Memory House is the story of two women. In the present day, Beck Holiday is a New York City police officer who lost her father tragically on 9/11. When he died all her childhood memories died too. In 1953, Everleigh Applegate lost her husband to a tornado in Waco, Texas. 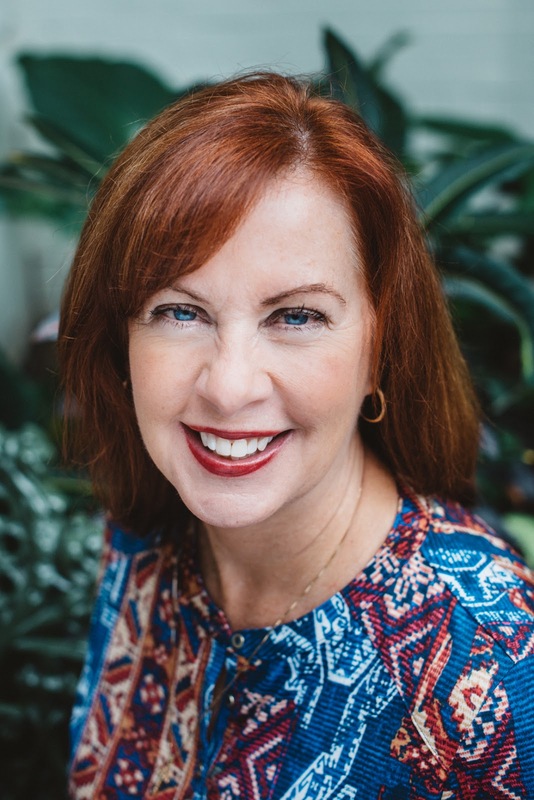 This novel is about the connections between these two women and the parallels as they work to rebuild their lives and find happiness. This was an exceptionally well done dual storyline novel. As well as Beck and Everleigh, there are also chapters that focus on the men that love them -- Bruno (Beck) and Don (Everleigh). The author does a great job of differentiating the characters and creating a strong sense of time and place. As a fan of historical fiction, I especially liked Everleigh's story, which spanned from 1953 to 1961, Waco, Texas and Fernandina Beach, Florida. I love that period of American life, and enjoyed all the beautiful details of that time in this book. I especially loved the setting of Fernandina Beach, Florida, a place we visited on summer vacations when I was a little girl! I found a lot to like about both Beck and Everleigh, and read this book in a short time because I was so eager to know what happened with their lives. 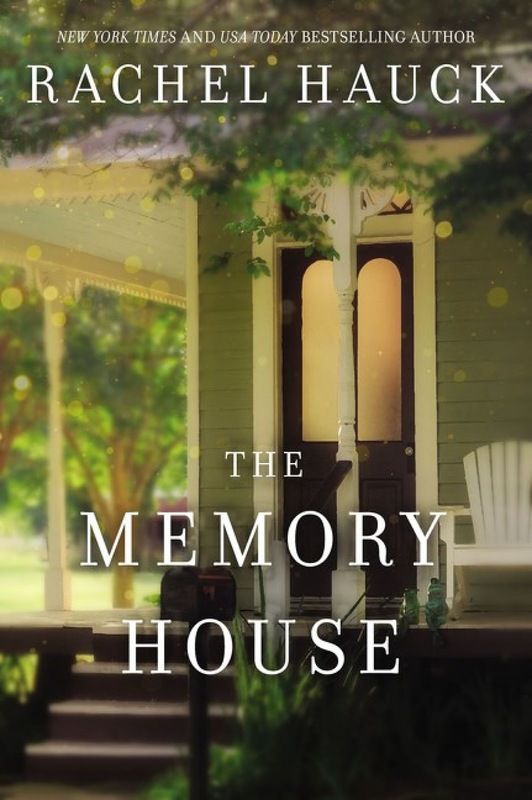 The Memory House features a beautiful, rambling old Victorian house in Fernandina Beach, and the house is almost another character in the book. I have a great weakness for books that do this, and it was such a lovely feature of this novel. There is a strong faith element in the book. Everleigh was a great example of someone who lived her faith in a quiet, daily way. 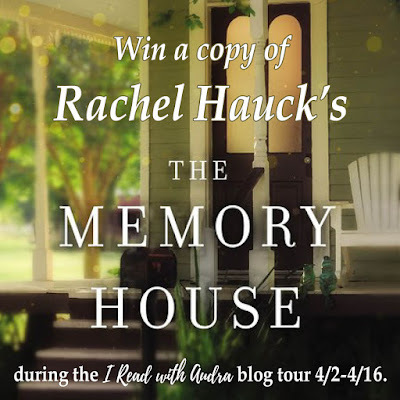 I recommend The Memory House for fans of women's fiction and Christian fiction. 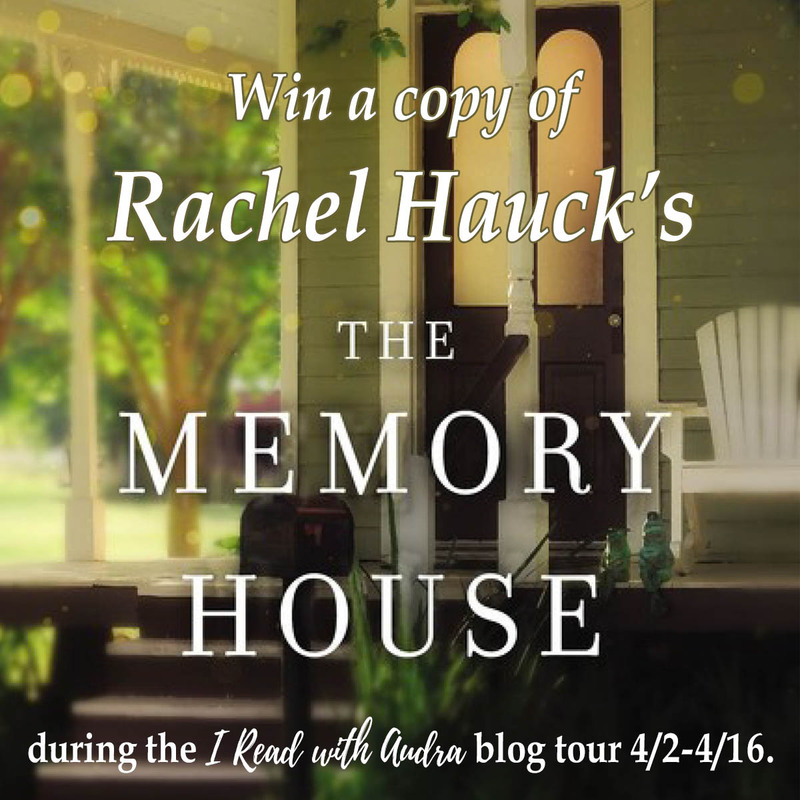 This is my first read by Rachel Hauck and I look forward to looking for more of her novels in the future. At home, she’s a wife, writer, worship leader and works out at the gym semi-enthusiastically. A graduate of Ohio State University (Go Bucks!) with a degree in Journalism, she’s a former sorority girl and a devoted Ohio State football fan. Her bucket list is to stand on the sidelines with Ryan Day.